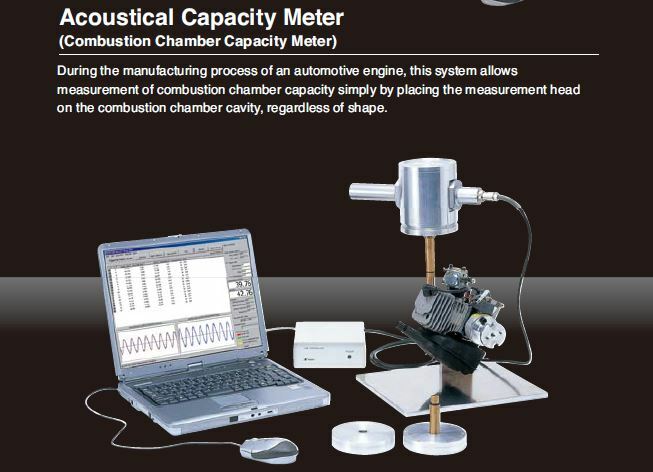 Regardless of the shape, the combustion chamber capacity can be measured by simply placing the capacity meter on the combustion chamber cavity of the cylinder head, as shown in the picture. 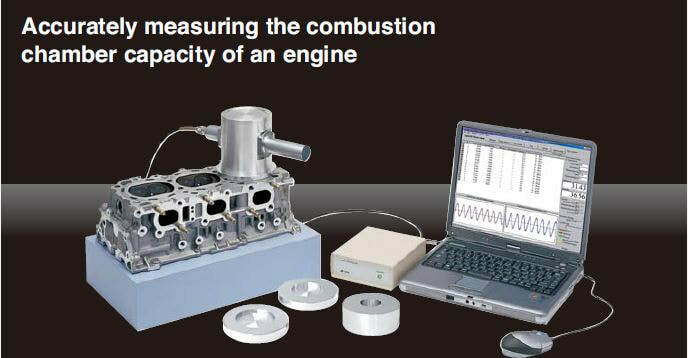 Instead of using a spark plug of the assembled engine, special adapters are used to connect to the capacity meter so that the combustion chamber capacity can be measured. 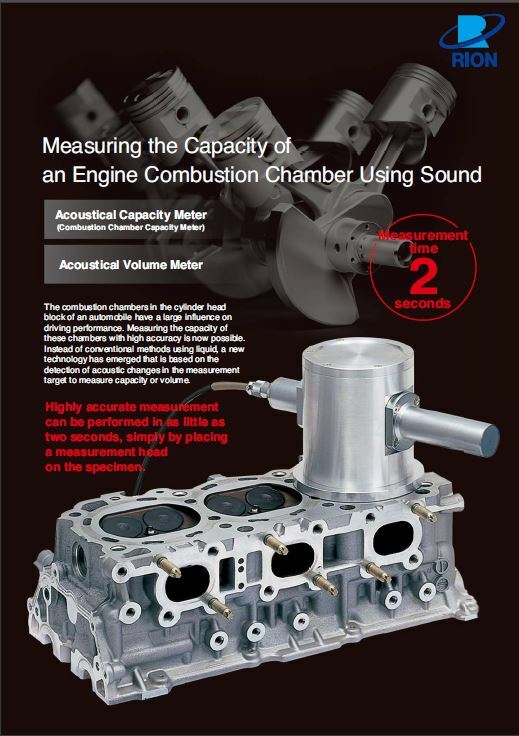 In the process of engine manufacturing or maintenance, the combustion chamber capacity can be measured in just two seconds in dry conditions. 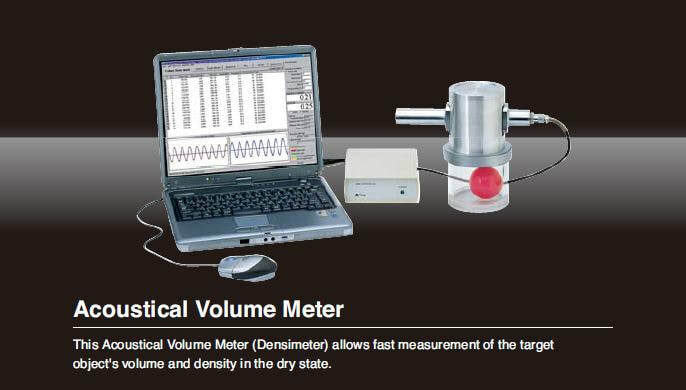 Unlike the conventional method of the Archimedes principle (where the target object is immersed in water), this system allows volume measurement of the target object in dry conditions. Even the volume of objects with complex shape can be measured accurately in a short time (approx. two seconds). In combination with an electronic precision balance, the volume and density can be measured quickly.